Launched in August 2016, The X Factor Games is a brand new online casino from Bear Group, a subsidiary of Gaming Realms. The latest online gaming platform is another collaboration with FremantleMedia and Simco, giving the site exclusive rights to the branding. And as star-studded as the TV show is, the online casino follows in that respect. Players can expect to find stellar games, including all-time favourites as well as new releases. The X Factor Games tops it all with exciting promotions and excellent services. Join the site today to take advantage of everything they have to offer. The X Factor Games rolls out the red carpet for new players. 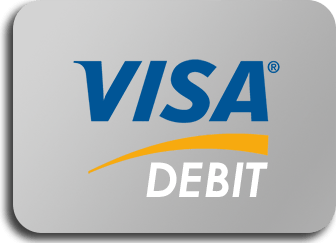 Just complete registration on the site, add a credit or debit card, and receive a no deposit bonus of 50 free spins. The free plays can be used on Starburst, Gonzo's Quest, Jack and the Beanstalk, and Twin Spin. That's not all the site offers as The X Factor Games also awards a casino bonus on the first deposit. For a minimum spend of £10, players will receive an additional 100% on top with a maximum allowed bonus of £100. The X Factor Games will have punters giving a standing ovation with all the exciting promotions they have. In addition to new player offers, the brand has some of the best online casino bonuses in the market. Enjoy regular offers such as tournaments, reload bonuses, prize draws, and more by joining the site. Regular players at The X Factor Games are sure to feel like superstars with the online casino's lucrative rewards program. Play like a VIP and earn all the perks that go along with it. The X Factor Games loyalty scheme comprises of two levels, with classification based on the amount of deposits and wagers a player makes. The online casino will notify players as soon as their gameplay qualifies into the VIP level, while an invitation is needed before becoming a Platinum VIP. Stand on top of the gaming stage anytime, anywhere! The X Factor Games has a brand new mobile casino site that's fully optimised for smartphones and tablets. Play casino games on mobile and never miss the chance to win a huge jackpot. The X Factor Games works with reputable payment partners to provide convenience and security in managing bankrolls. 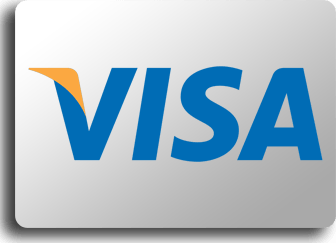 Players can make casino deposits using credit cards and debit cards under the Visa brand. 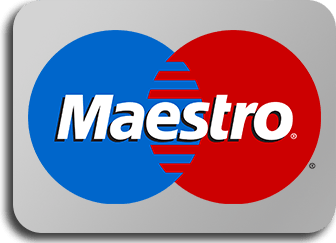 The online casino site accepts Maestro payments and MasterCard deposits as well. The X Factor Games even caters to the need of mobile users as the online casino supports pay by mobile bill options. Prior to making a withdrawal, players must first meet The X Factor Games wagering requirements. Promotional terms and conditions may vary depending on the type of bonus given out and the type of games they're used on. For instance, free spins have a rollover requirement of 60x the related winnings. On the other hand, deposit bonuses are subject to 30x wagering of the bonus amount. Playing different games contribute varying amounts toward the completion of the requirements. The X Factor Games will leave punters of all kinds spoilt for choice! The online casino stars a wide variety of gaming options that include popular titles, new releases, and exclusive games. Spend free spins on some of the most popular online slot machines. Enjoy a selection of online roulette games. The online casino site even features casino card games such as blackjack and poker. On top of these, The X Factor Games is also the home of exclusive slingo games, a combination of bingo and slots for a unique gaming experience. When it comes to design and ease of use, the online casino definitely has that x factor. It's simple but sophisticated, bringing elements that make the site recognisable as an X Factor brand. Navigation is convenient with sorting options and search functions, making finding a game a quick process. For users who have any concerns, The X Factor Games has an excellent customer service team available via phone, email, or live chat. The X Factor Games is managed by Bear Group Ltd, a subsidiary of Gaming Realms PLC. The gaming company is listed on the London Stock Exchange. This, along with the online casino site's licenses from gaming commissions in Alderney and the UK, gives punters an idea of their reliability. In addition, The X Factor Games works with a vast array of developers to provide betters with a better gaming selection. The online casino features the best from Gaming Realms, Eyecon, and NeEnt, as well as IGT Interactive and Microgaming casino games. The X Factor Games may be a new face in the online casino market but they already exhibit the qualities of the best online casino sites. In addition to the reputable branding, the free spins on signup and the exclusive games to play put them ahead of the competition. Though the active promotions are quite limited, expect that The X Factor Games will push more out as time passes. Join today to avoid missing out! The X Factor Games comprises of well-loved and well-tested games, giving players a fantastic gaming experience all around. Even though the UK online casino is new, their effort to provide punters a grand stage to play on definitely shows.